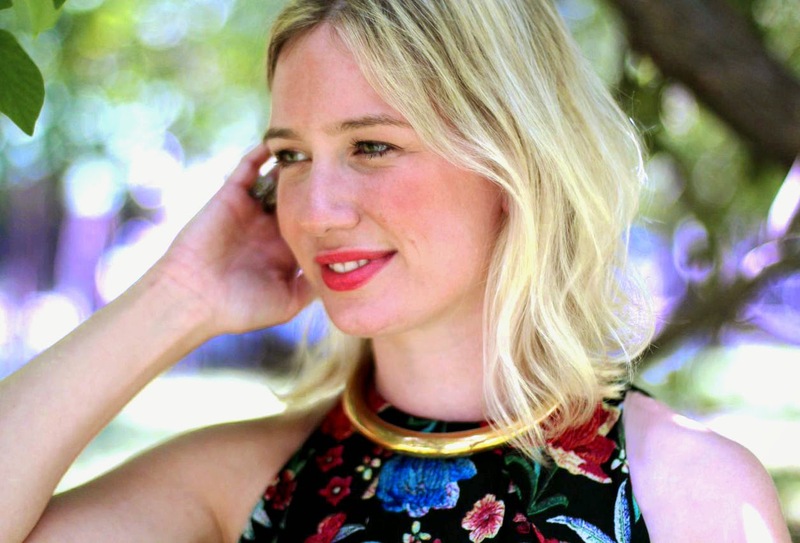 Travel Write Draw: Interview with Fashionista.com!! 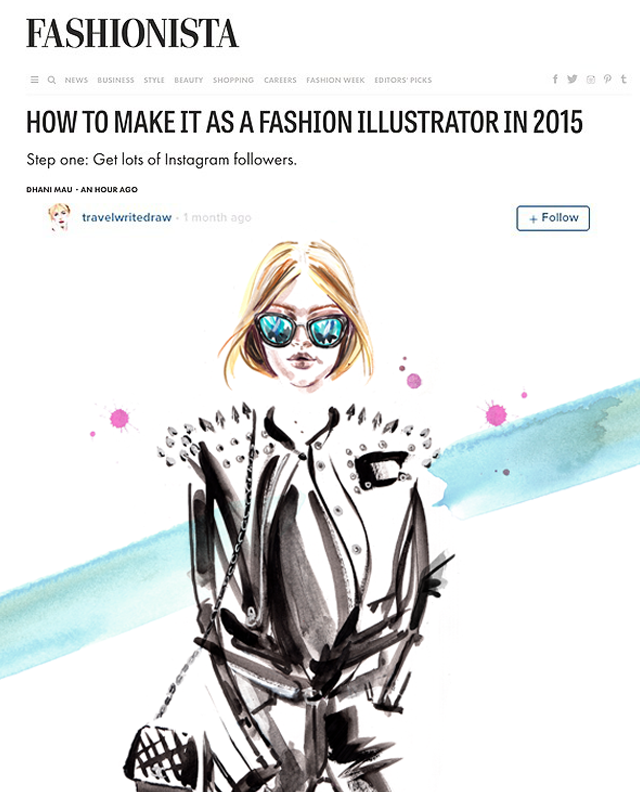 A few weeks ago I was interviewed, by the lovely Dhani Mau of Fashionista.com, for an article on "How to Make It as a Fashion Illustrator in 2015." 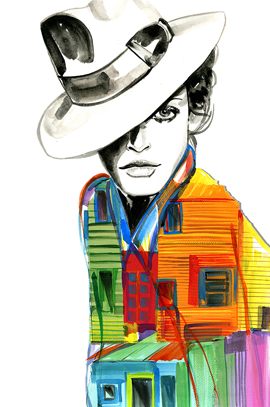 I was so honored to be considered a relevant voice and authority on the topic of fashion illustration today, especially to be written up alongside my longstanding blog/illustrator idol Katie Rodgers of Paper Fashion. I have been following her blog since the time I was still an illustration student at FIT from 2009 - 2011. For all my aspiring illustrators out there, this is a must read article - super informative and inspirational. Gorgeous illustrations! Now I'm even more motivated to keep on practicing. Thanks!